A few days back, I provided some general advice on how to make Open Season choices. A lot of the comments focused on Medicare questions, so here is a quick follow-up on that topic. Readers have only a few days to make Medicare Part B choices (December 7 deadline) and not many more days to make FEHB choices (December 10 deadline), so a laser-like focus is needed. As I explained in my previous column, Washington Consumers’ CHECKBOOK staff read the brochures for over 250 FEHB plans, and enter premium, coverage, and cost information into elaborate computer programs that calculate likely and not so likely cost under each plan. These programs use actuarial data on the risk of health care costs of varying amounts based on age, family size, health status, and other factors. They produce estimates of health care costs—enrollee share of premium plus out of pocket costs—for a good, bad, or average year if a family like yours were enrolled in each of those plans. Several of the key variables in these calculations are Medicare status and plan cost-sharing for those with Medicare. It turns out that which plans are better in what circumstances varies heavily depending on such factors as the exact details of plan coordination with Medicare (many plans have “wraparound” coverage but not all wraparounds are the same), plan premium, Medicare Part B premium (which varies with income), and enrollee use of prescription drugs. What you read below summarizes some of the key findings, advice, and recommendations made in the CHECKBOOK’s 2019 Guide to Health Plans for Federal Employees. Over the more than 50 years since they were created, the Congress has not devised a simple or sensible system for coordination of Medicare and the FEHBP. Under current law, most annuitants are required by law (for Part A, as a condition of receiving Social Security benefits) or encouraged by OPM (for Part B) to enroll in Parts A and B of Medicare, despite the excellent coverage they receive from FEHB plans alone. Unlike the sensible system used for Medicare Part D, there is a penalty of 10% a year for an annuitant failing to sign up with Part B at the age of 65, even with full insurance coverage that is better than Parts A and B together. On a sane planet, enrollment in two duplicative health insurance systems and having to pay two hefty sets of premiums would not be an option. That same FEHB plan that worked so well at age 64 did not get worse at age 65. So why is Medicare even in the picture? Alternatively, the Federal government could supplement Medicare Parts A and B through a former employer contribution (for example, $1,000 per person) into a medical savings account and provide catastrophic expense protection (for example, at $5,000 per person). Under that alternative, annuitants would pay about the same as at present for better coverage than they have under both programs together (a windfall to the FEHBP at the expense of Medicare should be avoided through a premium subsidy funded directly from OPM to Medicare). So why is the FEHB still in the picture? As a partial offset to the costs of this duplicative system, OPM has encouraged plans to offer “wraparound” benefits that reduce out-of-pocket cost for hospital and doctor benefits (but not drugs or dental costs) to zero for enrollees in Parts A and B. Until recently, this did not produce savings for most enrollees in most years that covered as much as half the extra cost of the Part B premium, but at least it provided something of value in an otherwise bizarre arrangement. In recent years, OPM has encouraged plans to improve and expand these wraparound benefits which makes them better buys than in previous years. One direct effect of this is to transfer thousands of dollars in FEHB costs for each enrollee to Medicare (which is the “primary” payer for most annuitants over age 65), and another effect is to raise Medicare and taxpayer costs by about 20% (currently some $2,500 a year) for each wraparound enrollee for unnecessary medical care that has magically become “free” to these enrollees and a source of income to their health care providers. (For policy wonks, one of several studies documenting this massively wasteful extra spending is Cabral, Marika and Neale Mahoney. 2014. “Externalities and Taxation of Supplemental Insurance: A Study of Medicare and Medigap.”) Currently there are 1.5 million annuitants with Medicare Parts A and B (about three fourths of those eligible for both Parts). At an extra cost to Medicare of about $2,500 each, wasted extra costs to taxpayers—with little or no benefit to annuitants—of the current arrangement are close to $4 billion a year. The purpose of this article is not to recommend more fundamental reforms (though these are long overdue), but simply to help annuitants navigate this badly flawed and confusing system. Whether or not to enroll in Part B is the key decision that most enrollees make, most typically at age 65 or upon retirement, whichever comes later. To help in this decision, CHECKBOOK’s 2019 Guide to Health Plans for Federal Employees calculates likely costs for annuitants with Part A only compared to annuitants with both Parts A and B. A brief summary table covering 9 plans in the DC metropolitan area, 8 of which are national plans (all 250 plans are covered in the online CHECKBOOK’s Guide) sets the stage. These figures assume payment of the standard Part B premium (higher premium costs paid by higher income annuitants are discussed below). Upon inspection of these results, five things stand out. First, there are large potential savings from enrolling in one of the lower cost plans—about $4,000 a year whether in Part A only, or in both Parts A and B in the CareFirst HDHP plan, and $2,000 or more in the other top plans, for either Medicare choice. Second, even in the plan with the very best results for enrollees in Parts A and B, CareFirst HDHP, the most cost-saving choice is to stick with Part A only. For a couple, paying two Part B premiums (about $3,250 in total for the standard premium in 2019) does indeed produce considerable savings through this plan’s wraparound benefit. These savings are so substantial that the extra cost of enrolling in Part B is reduced from about $3,250 in premiums to about $1,050 after cost-sharing savings. Enrolling in Part B has a number of advantages (for example, in most wraparound plans the cost of using non-network providers is zero), but resulting savings have historically been only about half of the Part B premium, on average. That deficit is rapidly being reduced in some plans (though not in most plans) as a result of the OPM policy encouraging shifting FEHBP costs to Medicare. But Part B still remains a cost-increasing choice in this plan and almost all others. Third, the next two lowest cost plans, MHBP and Aetna Direct CDHP, both produce something even more remarkable. For annuitants enrolled in these two plans, it is clearly a better decision to enroll in Part B than to stick with Part A only. The savings considerably outweigh the cost of the extra premium. Fourth, three of the five best deals are in plans with high deductibles and savings accounts, and the brand new Blue Cross FEP Blue Focus plan is actually quite similar to those, with a substantial deductible after big savings on the first ten doctor visits—savings that are roughly comparable to having a savings account of over $1,000 per person and over $2,000 per couple. This result comes from one key wraparound feature shared by these (and many other) plans, and its interaction with the savings account they provide. When the plan deductible and coinsurance are eliminated for hospital and doctor bills (but not for drug bills), that eliminates the costliest aspects of High Deductible plans for enrollees. What remains is the savings account, which can be used for remaining costs. In these plans, that account is around $2,000 for a couple. That pays for a lot of prescription drug costs! Notice that the fifth best plan in this ranking is Blue Cross Basic. This plan is a good buy in most circumstances, but only gets near the front of the pack for Medicare Parts A and B enrollment because of its $600 per person reimbursement of Part B premium costs. The other plans in this elite group provide no such reimbursement (several do allow paying the Part B premium from the plan’s savings account, but that uses up the money that would otherwise be available to pay drug costs). In summary, enrollees will get back the premium cost of enrolling in Part B in reduced health care spending in only a few plans. But the differences are getting small in many plans, which means that enrolling in Part B is a far easier decision than in prior years, when the penalties for delayed enrollment made it a scary bet for an annuitant not to sign up for Part B at age 65, despite its premium costs far exceeding its likely return in reduced out-of-pocket costs for medical care. Which Plan is Best with Medicare Parts A and B? As shown above, whether or not enrolling in Part B is a sensible decision rests largely on which FEHB plan it is paired with. Part B enrollment is a bad decision with most plans (those with high premiums), but a good decision with some plans with low premiums. There are 34 FEHB plan options available in the DC metro area. Most of these are national plans. Any of these options can be used with Parts A and B, if for no other reason than to use Medicare for providers who are not in the plan network. This applies even if the plan offers no wraparound benefit. But the table above covers only 9 of the DC area plans. What about the others? All the others have average costs higher than those in the top 5, and some cost even more than the 4 high cost plans in the table. Some of those left out from this summary table are perfectly sensible decisions for annuitants with Parts A and B. GEHA Standard, MHBP Standard, and Kaiser Standard, for example, are popular and economical alternatives. For those eligible, Foreign Service and Rural Carrier are also popular and economical alternatives. CHECKBOOK does not recommend limiting plan choices only to those plans that on average provide the lowest compared to other plans. As an important example, a plan that covers an expensive medication in its formulary will often be a better buy than a plan that has a lower premium but does not cover that medication. Nonetheless, absent such plan specific factors, most annuitants with Parts A and B would be well advised to compare their current plan choice to one or more of these top-ranked plans. One of them may, for example, offer even better coverage of that expensive drug. Costs and savings under all plans for self-only enrollees will generally be about half as much as for self plus one. Annuitants with adjusted gross income (AGI) of $85,000 or more (single) or $170,000 or more (married couple) will pay higher Part B premiums. How much higher depends on the AGI amount, but can rise to $460 a month, or over $5,500 a year, per person. Even an income just barely above these threshold amounts will add about $650 a year per person in additional Part B premium cost. Such an increase represents a dramatic change in the additional cost of Part B. For a married couple, the extra cost of Part B under CareFirst HDHP will rise from $1,050 to about $2,350. As another example, the average saving of $460 a year in the MHBP plan when used with Part B will disappear and be replaced by a cost increase of $840 for a married couple. Every family’s situation is unique, but for those subject to these higher premiums, the case for enrolling in Part B becomes very problematic. Very few annuitants enroll in Part D, the Medicare drug benefit. This is often a serious mistake. Part D plans cost on average about $400 a year per person. They pay, on average, about three-fourths of the cost of prescription drugs. All of them cover many expensive drugs in their formularies, and all are required to cover at least some drug or drugs that deal with the most expensive conditions. They can be cost-effective supplements to FEHB coverage. For example, GEHA Standard has a Medicare wraparound that, like most, provides no extra drug benefit. This GEHA plan requires paying half the cost of name brand drugs. But like all other FEHB plans it promises “to consider” paying any remaining costs after a Part D plan pays “primary.” In practice, it reduces drug costs close to zero. Some savvy annuitants enroll in a Part D plan that covers their most expensive drugs very well, and thereby reduce their drug costs to close to zero after their FEHB plan pays most of the difference. Unlike Part B, there is no penalty for late enrollment in Part D for retirees with good drug coverage. Information on Part D can be found at www.medicare.gov and the plan finder tool there lets you compare all Part D plans in your area for coverage of your specific drugs. Beware, however, that the Medicare and FEHB open season enrollment periods are not identical. The deadline for Medicare is December 7 this year, three days before the FEHB deadline of December 10. For those enrolling in a High Deductible Plan with a Health Savings Account, when you are covered by any health insurance other than the FEHB, your Health Savings Account will not be allowed to accept additional contributions. These will instead be credited to an HRA account. Other health insurance that triggers this change includes Medicare Parts A or B or both. So, if you are age 65 and still federally employed, consider delaying enrollment in Parts A and B until you actually retire. Parts A and B are all but worthless while you are still working for the federal government, since they are “secondary” to your FEHB insurance and will rarely pay any benefits (wraparound benefits only apply when Medicare is “primary.”) You do not need to enroll in Part A until you are ready to draw Social Security benefits. You can use the next few years to build up your HSA account while increasing your Social Security benefit! 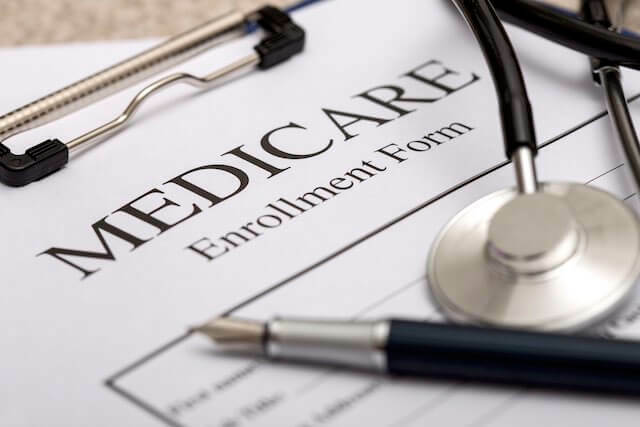 If you are in Medicare Parts A and B, or considering enrolling in Medicare Part B, you must review the table near the end of Section 9 of the plan brochure on whether and how well the plan wraps around Medicare Parts A and B. How well the plan reduces your costs can change from year to year, and the changes are NOT shown in Section 2 on how the plan benefits change for 2019 for employees and annuitants without Medicare. If you are considering an HDHP or CDHP plan, you should read the information at the beginning of Section 5 of the plan brochure on how the plan works.